A warm welcome to week #27 of our craft party! So excited for this week!! And how fast is April going for you? The first week is already done! So let’s see what you have been up to last week. See last week HERE. 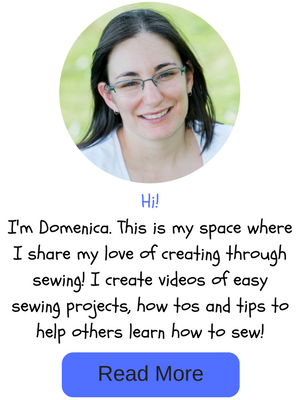 Two DIY’s will get featured in each week’s party so lets link them up! We pin every instructional post you are linking up to this board which will bring you extra exposure! PLEASE spread the word about this party! We will pin every instructional post but won’t be able to comment on every post, but if you are one of our favourites, we will comment to let you know! 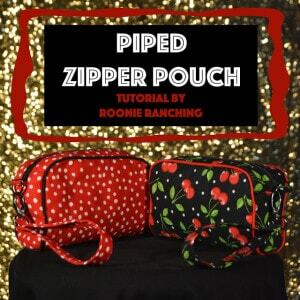 My favourite DIY is this piped zipper pouch by Roonie Ranching. 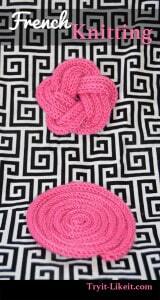 Denise’s favourite DIY is this French Knitting by Try It Like It. I was pretty intrigued when I saw this pretty flower. You really have to check out how this is done! Pretty neat! Ready to party now?? We sure are! Let’s see what you have been up to lately! It’s time to show off!